The Miss Philippines-Earth 2016 pageant concluded over the weekend with Filipino-German beauty Imelda Schweighart being crowned as this year's winner. However, netizens seemed to be more interested in the pageant's question and answer portion, where candidates were asked to explain how certain trending topics affect the nation. During the Q&A, Miss Zamboanga Bellatrix Tan drew hashtags "ElNiño" and "LaNiña," which are two extreme weather phenomena the country experiences. "El Niño is what we are facing right now. If we do...uhm simple things like planting trees then we can, we will not experience drought, right? So if we start now we will achieve La Niña," she said. 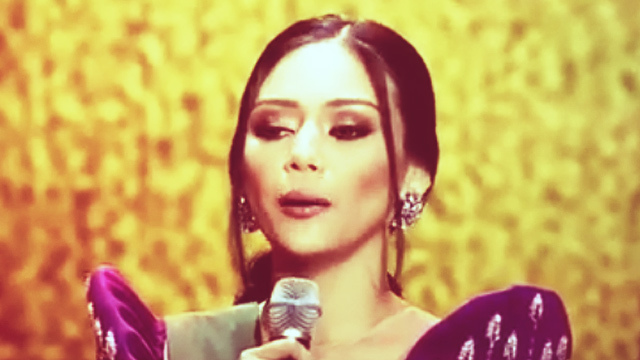 Her answer came as a surprise to everyone, including one of the judges who said it was "Nakakaloka." But the whole audience seemed like they were entertained at Tan's answer and applauded while laughing it off. The video clip uploaded on Facebook by Eddie Fernandez has garnered nearly three million views and over 53,000 shares as of this posting.